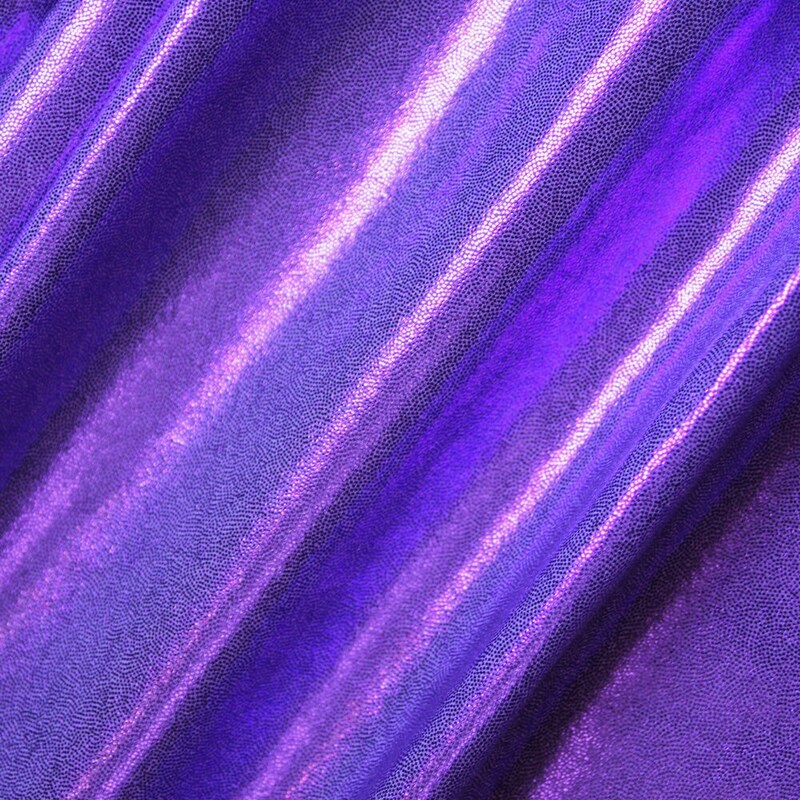 Tiny metallic purple mystique dots on violet spandex. Adorned with Swarovski crystals, the absolute best, most brilliant crystal in the world. Heavy Bling bikinis have more than 500 crystals affixed to bikini top and front of bikini bottom, adding the right amount of sparkle for most regional level competitions. Showstopper Regulation Cut Bottoms are designed to curve in all the right places to create the illusion of fuller, rounder glutes, while our four-way stretch fabric molds to your body for ultimate fit and comfort.